Large and Lush Beautiful Floppy Hats Customized for your Wedding! This sale is for the PINK hat only, but we do have white listed in my shop! 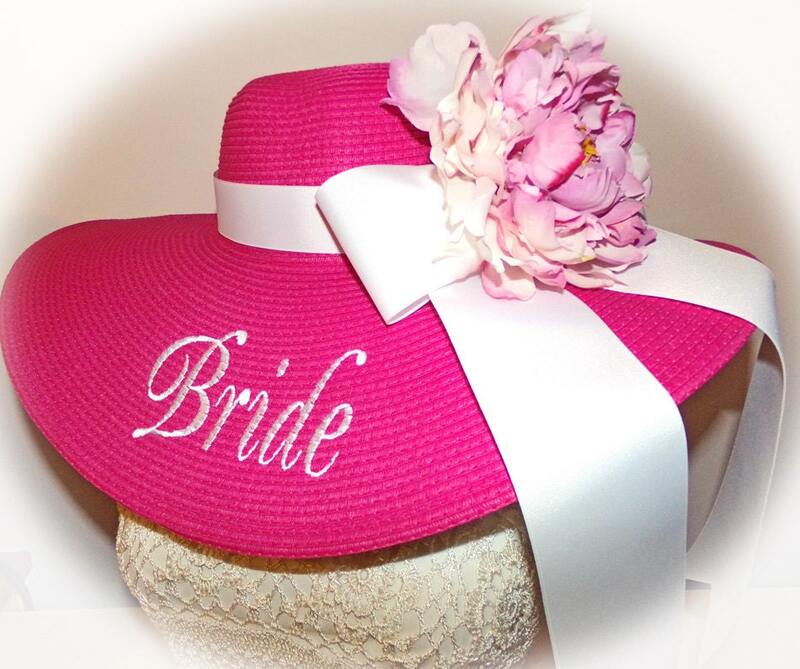 3 letter Monogrammed Included or name "Bride". 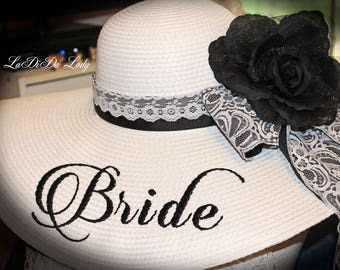 Bride's Hat shows special flowered ribbon. Flowers are Seasonal and therefore, may differ. All are handmade with repurposed flower petals. Most colors are available, however, please send convo with your color choice! I have many different designer ribbons. Stock is limited in each color and style. PLEASE SEND EMAIL WITH YOUR PREFERENCES BEFORE PURCHASE! 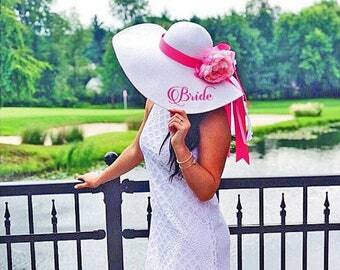 This hat is monogrammed "Bride", however, you may choose a name or 3 letter monogram. It is just beautiful! Looks exactly like the picture but even more amazing in person! 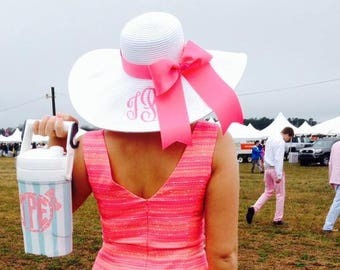 I got the aqua embroidery and bow and it looks great against the white hat! Thank you!! !